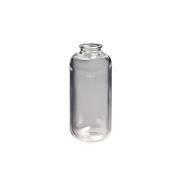 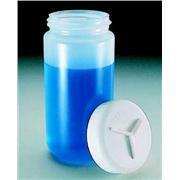 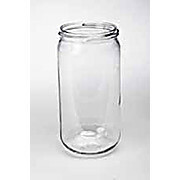 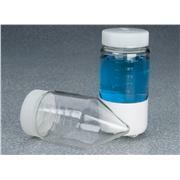 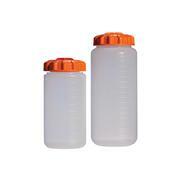 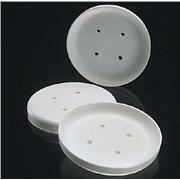 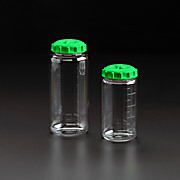 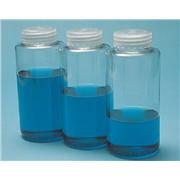 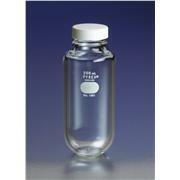 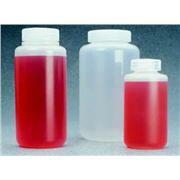 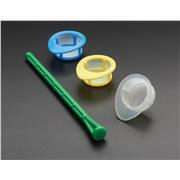 Polyethylene Eliminate rubber adapter clinging to bottle Adapter cushions 250 mL flat-bottom centrifuge bottles. 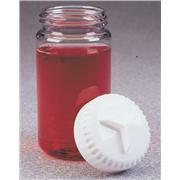 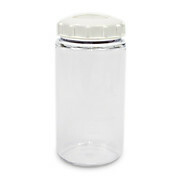 Heavy wall Screw cap Particularly useful in handling sputum specimens, this bottle enables digestion, shaking, neutralizing and centrifuging to be performed in one container. 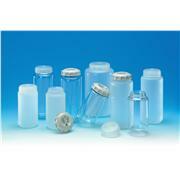 The tight-fitting polypropylene screw cap with Teflon® liner reduces the possibility of aerosol escape.